Get up to 4° of timing adjustment with JEGS Adjustable Billet Timing Pointers. Precision machined from billet aluminum, and designed for minimum clearance between the pointer and damper, eliminating errors. Well priced with rugged construction, this pointer makes it simple to set accurate timing. Mounting hardware included. 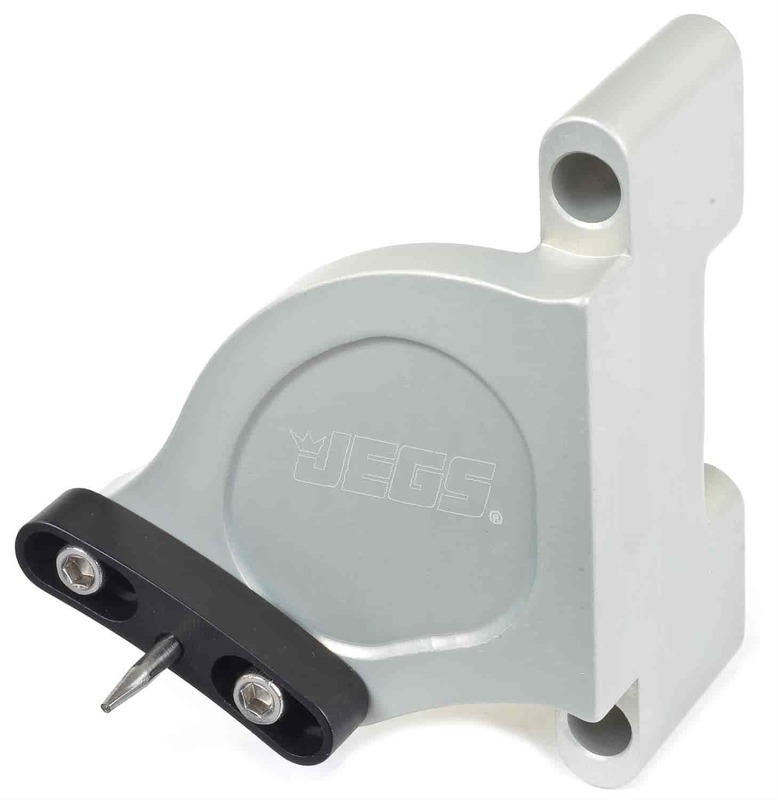 Does JEGS 51261 fit your vehicle? 51261 - JEGS Adjustable Billet Timing Pointers is rated 5.0 out of 5 by 1. Rated 5 out of 5 by willys56 from fits and looks great ! dead nuts on what i needed, great product , made my life better !